Poll! 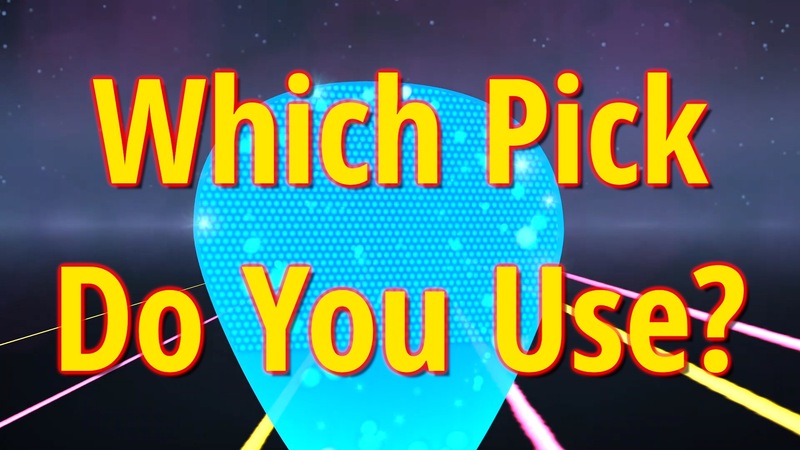 Which Pick Do You Use? It’s one of the most fundamental and personal gear decisions of all: your choice of pick. And we want to know what the most popular of those choices really are. So let’s find out! Take our pick choice poll, and let us know your preferred plectral attributes. These are updated every few minutes, so be sure to check back to see new data. We’ve selected, from countless possibilities, a few combinations of data we think may be particularly relevant to picking. If there’s something specific you’d like to see, feel free to send us a suggestion! For these combinations, note that we’re only displaying data for a handful of the 12+ genre options. We may add more over time to highlight other interesting data we find. I use a D’Andrea “Pro Plec” 1.5mm when I can get them, or a Dunlop “Ultec” if I can’t get the D’Andrea. These would be my main choices for electric guitar. I generally use the same on Acoustic guitar for single note or arpeggio type playing where it’s important to be precise, but I drop down to something lighter – about 1mm or a little less for funk style playing on electric, or for strumming on acoustic where I feel the sound of the softer pick adds a nice percussive sound to the strumming. I’ve used Dunlop Jazz 3’s and a variety of other picks for various sounds – for example, I occasionally use the “dimpled” or grip end of a Herdim standard pick to give a little “chime” type sound to a clean strat or tele. I’ll grab anything if I’m stuck, but anything with too much give, like an 80mm just doesn’t do it for me! Ah I was hoping for this survey to see the dominance of a certain pick. I think some people are conflating rigidity and hardness when answering the material question, though… It looks like most of us are using Jazz IIIs or Jazz III clones. Black, red, Ultex, carbon fiber (my choice) are all medium hardness. You can argue Ultex isn’t, but to say it wears similarly to a glass or metal (truly hard materials) pick is a stretch. Doesn’t really matter though–solid methodology on this survey. Excellent point about conflating rigidity! I use a Dunlop Ultex Jazz III and — just as you pointed out — I was unsure whether to call it a medium or heavy hardness. I ended up choosing the latter option, but after reading your point about Ultex not wearing like glass or metal I can’t help but to agree that it does seem it is more of a medium hardness. I should also mention that I really appreciate all of the time and hard work that Troy Grady and his team put into making their excellent videos. Wishing you continued success and I’m looking forward to any and all future releases! Thanks again! Same thing here! I just switched from regular Jazz III’s to the JP Signature ones, and to me, the ultex of the JP’s seemed super hard compared to the Stiffo Nylon of the standard Jazz III’s, so of course I selected hard. But then again, it does bend, which makes it considerably softer than any stone or glass pick. I know that different picks have different tonal characteristics. Accordingly, I tell myself that I should use different picks for different sorts of passages. But I rarely do. I almost invariably reach for what I find most comfortable – Tortex 1.14 in a Fender 351 style. I used to use copper picks – very thin while still being stiff. Still in a 351 shape & size. While I liked them, they contributed to shorter string life. So I have a small stash of them, but rarely use them. Dunlop 1.5mm, green, rough resin. But I score both sides along my carpet to sharpen pick’s point to a sharp tip for overall better control. I used to use Dunlop .73 for everything. Then a friend bought me a gravity pick for my birthday and I swear by it. Not to sound like a fanboy but I thought using a much thicker pick would be crazy. I am now using 2mm razer for rhythm and 1.5 for leads. And after all the lessons Troy has posted have helped me out way more than anyone ever has. The picks are acrylic and I’ve been using the same 2 for 6 months with little to no wear on them. To me, the V-Picks are magic. The V-Pick Tradition is thick, beveled, hard and with a medium point. It gives a nice warm tone while being stable in your hand and gives great pick control. The tradition is also big enough and thick enough to easily hold between your first and middle fingers for finger picking. I have tried many other V-Picks and find them all very different and useful in their own way. V-Picks are great, I’ve tried and liked many of them and stick with stiff small and pointy. I’m glad they are now making more colors, because I tend to lose the clear ones. Been using the “Small Pointed Pearly Gates” for a while now. I play Hard Rock / Metal and I’ve been using and loving Dunlop Big Stubbies 2.0mm for almost 10 years. I’ve played with many different picks inbetween but I always come back to them. As a teen I was always searching for the pick to rocket my playing. After years, I realized that it was not the pick but the picker. Yes, there are picks I prefer, but you can give a great guitarist any pick that is in good shape and they are still great. Keep your picks just as we do our nails in the classical world. Smoothed and shaped. Also worthy to note is how hard you grip a pick. Tony Rice uses heavy picks, but is allowed flowing passages as he control how direct the contact is with grip. An advanced technique, as many players feel they are going to drop the pick. Troy Grady rules!! His super insight can show one how their favorite player does it! I wish I knew more about him. I have spent some time with Ben Verdrey at Yale. I wonder if he, or any other great guitarists, understand Troy’s brilliance. As a Guitar professor at 2 Universities (with Dave LaRue) and three colleges, the classical staff will look down on guitarists. University of Miami, Juan Mercadel and some others are the exception. Keep going Troy! Your work should be mandatory in all advanced level of guitar study. If I had known about it as a professor it would have been mandatory for the proper students. I’ve used Tortex/Dunlop picks since discovering them in the early 90’s. I like the blue teardrop 1.00mm for playing rhythm/harmonies and the Jim Dunlop Nylon .73mm for leads/melodies. I also play bass and switch between playing with my fingers or a pick depending on the needs of the song. When it’s time for bass picking, I use the slightly larger blue triangle 1.00mm pick. I work as a composer so now I literally play almost every type of music one can imagine. When I was focused on live performance and recording I mostly played metal and experimental music. I use a agate stone pick in the shape that is similar to a dunlop big stubby 3.5mm or thicker. The tone is incredible. Bright but not too bright as some glass or metal picks but very crisp and is able to keep old strings sounding new for much longer time. It’s good for any style but great for metal because I don’t have to use a tube screamer and mess up the lead tone to have a tight bottom end. The trick about stone picks is the tip shape and gauge. Too round and it will sound like a glass slide becoming the equivalent of a fret it self and fretting a note where you pick. Too sharp can be hard to play and could be too bright. I also use sandpaper on the agate pick for better grip. I used to buy them from stonepicks when they were sold on ebay but they have a website now. Shipping took forever when I ordered. I hope more companies start selling agate stone picks in this shape because that is my favorite pick. None of the other picks in my large pick collection sound as good as this. (note. I have no affiliation with stonepicks). I use Dunlop Primetone 3.0mm large point. I’ve been trying the Gravity acrylic, 3.0mm and they’re great, but I keep going back to the Primetone. The acrylic is defenitly producing more volume, and tone.., at least to my ear. I swear by the Guthrie Govan signature pick by Red Bear Trading Co. It’s about 2mm thick made from their imitation turtle shell material and has beveling at the tip. Until this pick, I used Dunlop Ultex Jazz IIIs and V-picks Small Pointed (Pearly Gates). The Red Bear feels better (is smoother over the strings) than anything I’ve ever tried. I still use a V-pick occasionally but for me the Red Bears are king. I’m not affiliated with Red Bear in any way. Dunlop Eric Johnson, essentially a slightly more flexible Jazz III. I like Dunlop Ultex Jazz 3s 2.0. Question #5 is very misleading… Why is Tortex amongst Soft materials, when it’s one of the hardest and durable, more so than carbon fiber? Hi! I’m no materials engineer, but I’ve used Tortex picks for years, and they feel soft. Over time, they wear out to the extent that the entire point of the pick disappears. I have not experienced this kind of wear with harder materials like metal, glass, or synthetic materials like what Blue Chip uses. I guess YMMV with materials, because I defenitely can wear carbon picks way faster and more than Tortex, and I certainly don’t know any indestructable pick material. Bluechip is pretty indestructible. I have been playing the same CT55 on mandolin for 4 years and it has yet to show any wear. And mandolin will eat up picks faster than guitar. I think it’s good to have a bunch of picks to choose from. I play jazz with different instrumentalists in different rooms/venues and try to have a bunch of picks with me to get the sound blend just right. Sometimes an individual pick just has the right sound and feel on a particular night. Maybe it just SEEMS different but the better the pick feels and the more I like the sound the happier I am playing. And that means I can focus better on the music as the inner critic isn’t so active. I really like the Tortex TIII (T3) picks that Dunlop makes. It is a standard shape pick, with the Jazz III point. It gives me a larger gripping surface than a Jazz III XL, and has that great point we all love. I just wish they made them in a more durable material than tortex or ultex. The tortex variety wears out in a day or two. I will usually go through 2-3 picks a week and they are done. I prefer the 1.14mm and 1.35mm thicknesses. For mando, you cant beat the Bluechip CT55. I have played the same pick for many years and it has yet to show any signs of wear. The Black 1.35 TIII…..closely followed by the 1.5 TIII….then a gap to third place. The best pick ever. Ive tried hundereds. I don’t think people all watched the video. I doubt that many people play the expensive HARD material picks that cost $30+ a piece. I assume most folks play soft material, but think the question meant rigidity. The V Picks are very good. There are many styles and for me the Stilletto is the most versatile. I do round off the tip a little – not easy to do. The V Picks get more sticky the more they are used – to me that is a good thing. It’s probably worth bearing in mind that rigidity and hardness are related not only to the pick material but to the shape (roundness and bevel), the pick angle and the length (and therefore the mass) of the pick attacking the string. You are right about picking angle and motion which changes the tone a lot. I think harder then string and more rigid materials will likely give better loudness, sustain and tone because the energy from picking will not be lost on softer then string materials. To me it requires less effort to pick with a stone pick then with a softer material such as nylon etc. One of the things that can increase sustain is a granite sustain block and IIRC it’s because the energy of the vibrating string is not lost as quickly with granite then with other materials. I believe something similar happens with stone picks. Maybe the following info can be helpful to other people reading :o) . It’s a rewrite of something I wrote on another site and I hope it’s clearer then my last post. I experimented a lot with picks over the years and I prefer stone picks over other softer materials. I use agate picks glued with griptape/skateboard sandpaper (comes with adhesive) for a good grip. What makes the biggest difference in tone are tip, thickness and how polished the tip is. Too round and there is too much glassy ice pick tone and the string will sound like its being “fretted” by the pick. The rounder the pick the more “fretting” sound will be heard making the pick closer to a slide. Removing some of the polish makes the tone brighter and punchier but removing too much makes it sound like a treble booster on max treble (too thin). Thicker pick makes the tone warmer. The ideal agate pick for me is one that is shaped closer to the dunlop big stubby but thicker. I also remove the polish just a little with fine sand paper for extra punch. V-Pick the mummy here. Played dunlop for years and changed to the awesome v- picks after a hint of pro. Highe difference in arrack and sound. I am a hobby player from germany. If you like you can check out examples on soundcloud. I post soundexample from my beloved kemper amp there from time to time. Search for eltzejupp on soundcloud. Could be crickets in my cabs too. Or birds in the basement….. I thought that that the hype surrounding Dragonheart picks was probably unjustified, so I bought one. Best pick I’ve used in 40 years! Only problem is the price and shipping costs from USA. The polyamdie-imide material seems to glide over the strings yet still be capable of intimate contact and has a biting feel when you want it. Very durable and light and while it’s relatively smooth, it has a grippy quality about it and I haven’t dropped it once in the month I’ve been using it. I don’t shred and can’t play at those speeds so I don’t know if the pick feels good in that technique. From lots of vids I’ve seen though, people seem to be pretty happy with the picks. I have a Dragonheart graphite pick. Glides over the strings quite well. I bought it to try out on my electric guitars but I ended up using the rounded end of it for strumming on my acoustic. The only drawback, if any, is that the graphite rubs off on my fingers after playing it. We talked about this during the seminar I took. I find this rare and amazing that you’re able to switch picks any time. Steve Vai said he could adapt to any guitar within seconds but could not change picks and I feel the same. I went from Stubby Jazz 1.0mm, hard as a rock, for most of my life as a guitarist, to .50 nylon Tortex Jazz 2 years ago and it took me days and days to find the right pick (I had ordered something like 30 different picks and ended up with almost the same pick but on the opposite of the gauge spectrum). Any time I have to play with a pick that isn’t one of mine it feels awkward for at least 10 minutes. Having arthritic hands makes thick gauges much more comfortable for me to play, I currently like Winspear 5mm tapered Broadsword picks. I have also enjoyed BHL Hodor (6mm) and V-Picks Dimension Jr (4.1mm), Key for me is comfortable thickness, grip-ability and I prefer a sharp point. Once I got used to the thick picks- took an hour or so- I have found them imminently more comfortable. as well as a drastic tone improvement, I feel I have more control and it takes little effort to produce maximum sound. Never understood people who will throw down $3000+ for a guitar or amp but balk at the notion of spending more than $5 for a pick. I think I have lost one pick in the 5 years since I switched. I use a extra-heavy Red Bear Big Jazzer or Guthrie Govan model (both the same apart from the one serrated edge. They’re expensive but I’ve been using the same two picks for the past year and a half so they’re definitely worth it. The polishing kit makes the feel brand new. I didn’t mean for the above to come across an advertisement but I truly love these picks. The speed bevels are perfect. It’s as close to tortoise shell as you can get. You wouldn’t expect such a rigid pick to cut through the strings the way these do. I also use a forward slant so I supposed that helps. Other picks I’ve tried are V-Picks, assorted Dunlops, Hawk, and D’Andrea. I’d like to see the Dunlop EJ Red pick with the Max Grip. I believe I’ve seen a Red MaxGrip but I don’t think it has the EJ Tip…which does make a difference. Yes..the tip on the EJ pick is a bit longer then the way they make the jazz iii now. The EJs is what I use also..but I just ordered the John petrucci flow picks out of curiosity. I’ll see what those are like. I’ve been experimenting with different thicknesses. One thing I’ve noticed with thin pick, that can bend easily, there is very little control with alternate picking for me, but it’s good for strumming. I prefer firm pick with original fender shape, so I’ve started using Ibanez Steve Vai signature picks. They’re 1.00mm, made out of polyacetal, which you can hardly bend. I believe, that gives players best control over picking. @ Flan You’ve hit on a common dilemma of picking which I think is hugely significant – different picks for different strokes or one pick to rule them all? A pick that is perfect for picking is not always as good for strumming. I find that the best strumming picks have to have some give in them whereas a good lead pick requires a more rigid material. As much as I love my Hardened Dragonheart for lead and even a bit of funk, I find it next to useless when it comes to energetic, percussive strumming on an acoustic – my acoustic doubled as my drum kit, if you know what I mean 😉 The stiffness requires a far more skilled technique – to be able to strum speedily and loudly without having the pick fly across the room. As a former busker, I would never have used Dragonheart to perform. It was always heavy, grippy nylon Dunlops for me. I wonder if other people stick with the one pick or have to change for different styles. I’ve really enjoyed nerding out to these comments on picks. Love to hear other people’s stories, struggles and solutions. And a big thanks to Troy for all his helpful info and entertaining vids. The Red Dunlop Stubby 1.0mm. After years of Fender Medium – I switched, took me about a week to get used to. I do alot of Travis Picking and it being a smaller pick gave my other fingers more room to move around. I also play fast single note passages too – best pick ever. Which shape should I select if I use Sharkfin picks? Never mind. I’m just an idiot. Currently using the John Petrucci Jazz lll 1.5. Great feel and tone! I mean this as the highest compliment possible–> what a geeky/dork poll!! haha, I as self-identified complete guitar geek, I love it. Amazing how so many people are so passionate about seemingly minute things like pick “hardness”, etc. It was cool to see the various picks people are using and commenting about. A couple I might try. I play electric and acoustic, about a 50/50 split, depending on gig, etc. I’ve been using Dunlop Ultex jazz iii’s forever for electric, and standard Ultex 1mm picks for acoustic. I also play quite a bit of fingerstyle, and keep meanng to give Rusty Cooley’s thumbpick a try. For Gypsy Jazz and most electric & acoustic guitar work, I use a Dunlop 500 Delrin 4100 Ultra-hard plastic 2.0mm, it’s purple,. For fingerpicking & country electric, Tele, I use a Fred Kelly thumb pick. MED Delrin Slick Pick, it’s orange. They are the BEST thumb picks I have ever used. Check out Pickstrap Picks! I use JazzIII heavy picks that have a strap through them. Awesome pick that allows for ez tapping! A friend turned me on to Dava Control picks a few years ago, the original green nylon ones, and I’ve been using them ever since. Hold the pick closer to the tip and it’s stiff like a Fender Heavy or Dunlop Jazz III, hold it further back for strumming and it’s flexible, like a Fender Medium. I use these picks for everything… rock, metal, punk, fusion, etc. Textured grip, pointy tip and lasts forever. The only drawback I’ve found is the thinner “flex” part in the middle doesn’t take pick slides down the strings very well and gets chewed up pretty quick. Dunlop Gator Grip 1.14 for me. I have sweaty thumbs it seems like, I need something that will grip my fingers without slipping. I used to use black Jazz 3’s but they would tend to slip out of my thumb, I used to modify them by lightly melting the plastic with a lighter and scoring it in a cross hatch pattern with file, which helped a lot. I stuck with them for years, but I found with the Jazz 3 that they were great for my alternate picking, my sweep picking technique was suffering because they weren’t tall enough. I made the switch back to larger standard shaped picks, in a gauge that was stiff enough but not totally rigid. Acrylic for me has a highly annoying bright chirp to it every time I strike the strings, same with brass and stainless steel. I like the tortex picks because they don’t chirp and have a nice dark bottom end attack that I really like for riffing as well as fast picking. The gator grips also feel like sand paper so it doesn’t slip out of my fingers. Also when I start to wear them out I can easily reshape them with a few swipes on a rug. After forty-three years of playing I finally settled on Dava Control Picks made of nylon. They are thick and pointed, roughly Fender sized with a rubbery gripping surface. Also they are thinner and flexible in the middle; the less you choke up on the pick the more flexible it becomes and vice versa. Can pick tightly for shred runs because of the thick pointed tip, can also quickly strum all six strings ala “Pinball Wizard” without EVER dropping it, which could happen to me with the Jazz III (used them for eight years). I used 2mm and 3mm Big Stubbys for four years because of the point and gripping dimple; could speed pick and strum with those as well, but that loud squeak that comes with every pick attack was annoying; that pick material is almost like glass so it’s like tapping a metal slide on the strings 2 inches from the bridge, Free Bird chirping effects on every note on the high E and B strings, not good. The Dava made of nylon doesn’t have the glassy pick attack of the Big Stubbys. The response of the nylon is different than the delrin, I like nylon, dislike the delrin. Get the sample pack and give them a try. They also have metal clad picks, Jazz III sizes with pointed and rounded tips, delrin, nylon, metal clad, polycarbonate (I think, like the Big Stubbys, yuch) materials, perhaps more as well. Really innovative combinations of ideas to make a versatile pick. Something for everyone. I don’t work for Dava or any musical company LOL!!!!!!!!!! I use v-picks “Screamers” 2.75mm acrylics for electrics–larger than Fender Medium, and Dunlop .5mm Reds. I also use the rounded edge, no the pointy bit. As I saw posted, I too can say “I am an idiot “. Humility is a virtue. I would think any guitarist, who benefits from Troy’s level of instruction, need not concern themselves with how a pick will wear over time. Again, just like nails, they should be pristine at all times. Materials ,sound, contact etc. , not how a pick wears out, or holds up over time, would seem the correct question. Please let me know if I am missing the point and forgive me for posting twice. Turtle Tortex 1.14mm since the early 1980s. Mostly cause it’s purple. On a serious note, it doesn’t bend during fast picking. Thinner picks were like chasing down a rubber band string with the pick flapping, too. With usage, they bend/warp and the edges get sharp. So, I’ll toss it for a fresh one. Also, I used to put ’em in a powder box, shake ’em around some, then take one out and use it. That’d dry up the moisture and give them that newer feel they had when they first came out of the package. I used to them by the case, too. Now, they’re like $0.25/each. Ridiculous. Looks like for metal guitarists the Jazz II wins out. I’m curious about some of the heavier Jazz III style picks. I know a guy who cut a heavy piece of glass to a Jazz III shape and swears by it. Felt too heavy for me a slipped if my hand got sweaty but he loves it. So what other materials should I be trying? Tortoise Shell are a great alternative when dolphin fins aren’t available. I use “triangle” and “wide” picks in medium/0.88mm thickness. I laugh at all the ridiculous claims made about how pick thickness dictates what you can play and how well. One reason for this is that people refer to thickness when they really mean to refer to rigidity. The other reason is that they misstate what goes on mechanically. I’m so glad the results are not aligned with my own preferences. If they had been, I would have had to rethink my choices, because people are such mindless sheep. Early on when I first began playing guitar I used the standard Fender medium style pick with the point end. This never really felt comfortable for me but being a new player I naively thought that was how you had to use the pick. I kept using mediums in the .7-.8 range usually preferring the Dunlop Tortex. When I was a young player I wanted to play metal, a friend of mine told me to use a heavier pick for Iron Maiden style palm muted triplets to get that heavy sound, so I started using the Tortex .88 at this point. I had also heard (not sure that this is true) that Zakk Wylde (a hero of mine at the time) used the rounded edge by turning the pick on it’s side. So I started doing that as well. For years I played like this, then I started getting into jam music, funk, jazz and felt that the .88 had too heavy a feel for these styles so I stayed around the .7 range. I started looking into jazz greats and found Robert Conti who talked about using a real thin .5 nylon pick and who that related to mechanics string the string. This reminded me about the time a sales rep at guitar center, listening to me play with a .88 Tortex, approached me and gave me a medium EBE alien pick (.71 or .73, I can’t remember which) telling me to use that instead. I liked the pick which was firm but had that snap to it like a lighter gauge pick but I never bought any more of them (this was about the time I started using the .7 range gauge more). I eventually ended up using Jim Dunlop nylon .6 gauge picks a few years back, but I’m thinking about going back to the EBE .7 something. At the end of the day once you’re a proficient player you just love to play and use whatever pick is lying around and make it work, sure I may prefer a certain feel of a pick more than others but I just love to play and can make any pick work. Now I may not be able to play as fast as I can with a pick I more constable with but I know how to play clean with any pick by it’s feel which is more important to me than speed. For me the medium to light gauge using the rounded edge and not the point is what I feel gives me the greatest control over my picking for all styles. This is my subjective preference and it works for me. I hope this anecdote encourages others to try out different picks and ways of holding the pick so that they can find what works for them, it’s not what an instructor tells you or what you read in a magazine, it’s about what feels comfortable in your hand and asked you to be precise with your picking technique. Precision is always more important than speed, speed gains can easily be made with a metronome once a precise picking technique is in place, that is often more elusive. It took me 10 years to refine my picking technique to where it feels comfortable and precise every time I play and every now and again I have setbacks when learning new challenging jazz lines, but the challenge is what makes playing enjoyable. I use to use clayton 1.14 for the longest time then used Jazz 3 XL black stiffo or the red ones for a time but went 180 and now use the dunlop nylon max grips .73 and the new clayton frostbite picks in .66 or .80 they flex enough for me and the other ones seem to beat up my thumb to much. I would rather have the pick flex then my thumb have to take the full force of the string. To each their own. I mostly play with my fingers (75% of the time) and have for about 35 years but if I need speed or throb I use a pick. I used Jazz 3s for years. Recently I changed to NylPro greens – I think they’re Planet Waves in the US but D’addario here in Canada (same company group nevertheless). They’re a bit stiffer than NylPro blues – I think the greens have fibreglass impregnated in them. They’re very stiff, 1.4 mm, and grippier than Jazz 3s. With the Jazz 3, I ended up using the round finger gripping part to hit the strings but not with the NylPros. When I play bass, it’s just fingers – no pick. FInd it funny, that you have to choose a specific BRAND or MODEL of picks. Stone picks which I use, has no brand, no model name and no logo. They are a tad heavier and thicker and to the right of every selection included in here, i e not at all available as choices. The only one I could choose was teardrop of which they are. The rest of the poll, I had to “lie” a bit and make big tradeoffs and concessions. I do to use very different picks for very different genres. Strumming chords on a an acoustic 12 string requires a green plastic bag thin Sharkfin pick, while shredding the heaviest of metals solos on an electric high-gain guitar/amp requires that stone pick. And Jazz numbers too. Country/Folk acoustic flatpicking requires Dunlop black STIFFOS. Some traditional classic 70s hard rock I use the red Dunlop jazz III occasionally. But a far 70-80 percent of the time these stone picks, and none of them have really the same gauge, shape, or size. Stone picks does not flex at all, when hitting the string, and if you want them to, just release the grip a tiny bit. Teardrop shape helps them resting a bit more inside the side of the finger. Which keeps them from wiggling about too much. I mainly use a Dunlop Jazz iii, but recently I discovered the Dunlop John Petrucci signature pick. I am mainly a Jazz iii person , but one day I was in a local music store trying out a guitar. then he discovered the new ( at the time ) John Petrucci Jazz iii pick… he lent me his pick…. I fell in love with it. I currently use Jim Dunlop 88’s but am dissatisfied with it, so this video is very useful information for me (and for other reasons as well). Used to use the JD .74mm gray ones. A few months ago I went and bought some overpriced pack of the 88’s at Sam Ash, which I won’t do again, but am now looking to try a few of various thicker ones as mentioned here. Little did I know that I would become dissatisfied with them so soon but of course it also has more to do with dissatisfaction with the guitar I was playing! I am interested in trying the Red Bear Trading Co. GG model but don’t feel like waiting for months for a guitar pick. LOL. Red Bear fingerpicks look good too because there ARE times where it would be advantageous to have that, even on electric. I’m gonna look into that one. I dislike really smooth picks since I am paranoid about dropping my pick and want to eliminate the concern whenever possible. Also don’t like anything thinner than about .74mm because of that floppy effect, as well as just the fact that it’s basically a hindrance to speed. Although I suppose if I was more of a kumbaya-campfire-strummer type of player, I would think much differently about that. If you live long enough and play enough guitars, ya might as well keep a good stash of varieties due to all sorts of variables that come into play. Seems that way anyway. Ha. One size fits all approach doesn’t make much sense to me unless say you have a maximum of 2 guitars and can live with whatever the tradeoff is. String tension is another yuge factor in all of this. I recently got a Gibson J-45 acoustic off of Reverb and even with super light strings, its tension is tighter than a nun’s arse, as compared to when I was playing my Taylor T5 (also with super-light strings) and could do a lot more lead and string bending, etc. My biggest concerns are grippability, and whether it will help or hinder the ability to play fast passages. You don’t want to be trying to master a long run, especially one that crosses a lot of strings, if you run the risk of dropping the pick. No doubt the biggest point of risk is each time the pick touches a new string from the previous one, since as we know a passage of notes on the same string is undoubtedly easier than changing strings. This translates for me (generally) that the more interesting things I do, the more chance I have of dropping the pick. Big thanks to Mr Grady for putting out these useful videos as well as website. This has been really great in terms of connecting some dots for me. Keep up the great work people! When I started playing now almost 20 years ago, I instinctively gravitated toward smaller picks, e.g., Fender tear-drop and Dunlop jazz shapes. There used to be the big fishbowl of remaindered picks at the check-out of the music store I took lessons at, and I was always digging for the small ones. I still have a lot of them. I guess my hand knew what kind of pick it wanted to play. The conventional Fender pics have the wrong proportions, too wide in the back, and generally too long. They tend to slip, too. Ultimately, I settled on those damn Jazz IIIs, although, curiously, I tend to favor the red nylon as opposed to the black stiffo. It must be the grip of the nylon. As an alternate, however, I really, really like the Ibanez Paul Gilbert picks. They are effectively the same shape as the Dunlop Jazz IIIs; however, they are made from whatever plastic material typical pics are made from. Just as heavy, but thinner. For some reason, they give you that snappy Gilbert attack. I use exactly the same pick as John Nash above, the Nylpro Green (1.4mm) picks. One of the many advantages that I’ve found is that they don’t wear out along the edges. Most of the cheaper thick picks will wear away after a couple hours of heavy strumming. Can’t seem to escape Gravity picks as of late. Generically stay in the 1.mm -2mm range. I also opt for desiger cut outs. I can tell instantly what the orientation of the pick is looking like.. I have been playing guitar for over 25 years. Hard Rock and Metal. In the begining I used ordinary Jim Dunlop grey/black 0.70- 1.0ish picks. Then a friend showed me Jim Dunlop Jazz 3 red really pointy picks. And I had just discovered Yngwie Malmsteen (he’s from Sweden and I am from Norway, so I am proud that he is from my neighbour country. He is my favourite guitarist alongside Angus and Malcolm Young). So I started using Jazz 3 1.0 mm, because I wanted to shred like Yngwie. And I discovered Paul Gilbert, Chris Impellitteri, Joe Stump, Vinne Moore and all those guys. Resently I stopped using Jazz 3 and started using Ibanez Paul Gilbert signaturen picks. I think they work netter for me because they are a bit bigger, so they lie much better between my thumb and my index finger. The picks are around 0.80- 1.0 mm thick. And they work great. I vary how firm I hold my pick, depending on what technique and music I’m playing, and on what feel I want. Just for fun I experiment a bit with Tortex of different thickness, different Ibanez picks and Yngwie’s Jim Dunlop 2.0 mm signature pick. But those Paul Gilbert picks are the right ones for me. One factor that also plays a part in choosing a pick is specifically the gripping surface. If you hands sweat onstage.. it is easy to lose your pick. 1) Star Picks- these are made of the same material as the dunlop tortex series picks. The bumble bee you can adjust the amount of pick you want to expose to the strings. I used to use Stoneworks agate jazz picks, which I really love. But I would lose them, and losing $25 picks is a bummer, man. I eventually wound up with Jazz III Ultex, which gives me the small hard pointed jazz thing, a great grip surface, decent durability, and affordability in the face of lossage and wear. I’m very fussy about wanting a perfectly smooth bevel, so I toss the Jazz III picks as soon as they start to scratch up (I hate nylon for this reason – always gets a raggedy edge). The Stoneworks picks were awesome in this regard; the surfaces were basically immune to string damage. Dunlop Red Eric Johnson Jazz III usually. The EJ model has sharper raised lettering for a better grip for me. It’s a little too much when new. I sometimes rotate the pick to the round side when doing certain faster strumming (especially on acoustic) because it sounds smoother and less clanky to me. It doesn’t do pick scrapes well and if I’m focusing on EVH I’ll sometimes switch to a plain ole Fender Medium. Perhaps worth noting is that I hold the pick with my thumb and middle finger. I severed tendons in my right index finger many, many years ago. I grip the pick similar to the way Guthrie Govan does (except with my middle finger). Discontinued Dunlop Hot Licks berillium copper picks. .005 or.006”. Previous PostThe David Grier Interview is here!